Almost every church has a team that will pray when prayer requests come through even if the request isn't urgent at the time. They are specialized team that will rise at the need of getting a hold of God in a timely manner. This job description samples are available below for both the team and the team leader if needed to use as a tool or guide to develop a personal one for your church, etc. The team of prayer warriors are normally volunteers in the church but sometimes are employees. In either case, a job description is great for organization of the church so every one knows exactly what is expected of them as a team. The purpose of the team is to uphold the congregation and its ministries and also the community in prayer and to educate, empower and inspire the congregation in their prayer lives. Receive and pray for concerns and requests from individuals in the congregation. 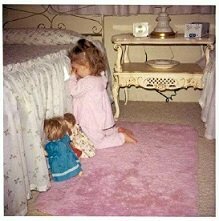 Be available to pray with someone if the need arises. Cover the various ministry teams of [Church Name] with prayer and to receive any prayer concerns they may have. Make the Prayer Room a peaceful environment, supplied with prayer resources for anyone desiring a place to pray. Work with the Pastor Senior to provide opportunities for the congregation to enrich their prayer lives. Provide a prayer shield for the Pastor(s). Provide an article or testimony about prayer for the church newsletter on a quarterly basis. Facilitate the prayer chain for the congregation. Discern future direction and needs of the team. The purpose of the team leader is to uphold the congregation and its ministries and also the community in prayer and to educate, empower and inspire the congregation and team in their prayer lives. Coordinate and facilitate all meetings of the team. Pray for and encourage the team members. Be a liaison for the team to the Pastor(s), Consistory, and other team ministries. Delegate responsibilities to team members. Arrange for purchase of spiritual and prayer materials for the Prayer room. Train and encourage a future Prayer Team Leader. Continue seeking the Lord’s direction for our team. There are many more free church job descriptions on FreeChurchForms.com that you can access by clicking the link on the bottom of this page. Return to Job Descriptions from Prayer Team Job Descriptions (2 Samples).